This week we ventured out to one of the more commonly traveled areas of Kansas, the Flint Hills. For anyone traveling to and from Kansas City, this is an area that seems to bring about mixed feelings. Some folks enjoy the abundant hills and endless horizons, while others enjoy the speed with which you can legally get through the state. *Note the orientation of the compass in the corner. This road is a north/south route but the map is rotated to fit the landscape article layout. We started our journey at the Cassoday exit on I-35. This dropped us just a few miles south of Matfield Green, on the Flint Hills Scenic Byway - K177. Taking 177 to the north, you'll start out with a couple of nice, sharp curves. These can be fun but, driver beware, summertime is construction time in Kansas. They had recently begun the repaving process, leaving a lot of loose gravel behind before applying the asphalt. It's nothing you can't handle with a little finesse, so long as you're aware that parts of the road aren't actually anchored right now. Along this road you'll encounter a few curves that will keep things interesting, some long open stretches that will inspire a heavy foot, rolling hills spotted with cattle, and even some cool destinations to stop at along the way. Just outside of Matfield Green you'll find The Gallery at Pioneer Bluffs. You'll know you're getting close when you notice the long, hand-laid, stone fence that lines the east side of the road. 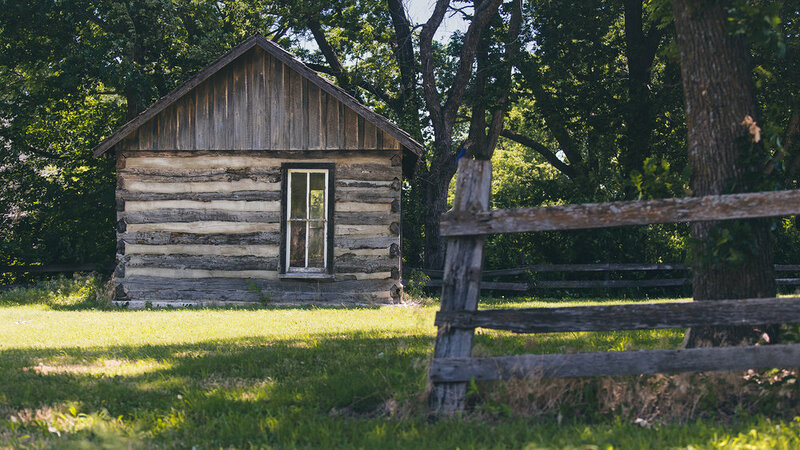 If you stop here, you can get a closer look at an old Kansas cabin, inside and out, from yesteryear. Also take note of the white two-story house on the property, as it contains a small art gallery with some truly gorgeous photographs taken throughout the Flint Hills area. Moving on up 177, you'll be greeted by a couple small towns that each have their own draw. Cottonwood Falls boasts a big, beautiful old courthouse on Main street, as well as a nice park area to get up close with the "falls." Just up the road another mile is Strong City, which has a neat old train station (with room to stop and take photos), a cool old auto shop turned hot rod haven, and a delicious bar and grill called Ad Astra Food & Drink. 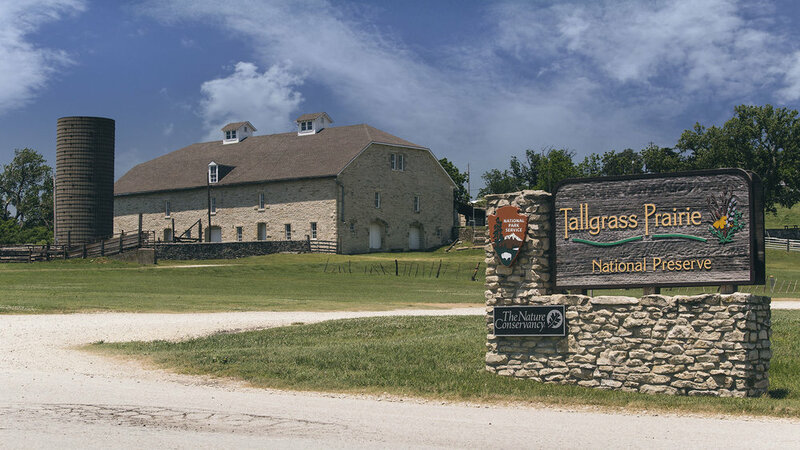 If you decide to keep heading north out of Strong City, you'll quickly find yourself crossing US-50 and heading to the Tallgrass Prairie National Preserve. If you plan accordingly, the Visitor's Center will be open when you arrive and you can inquire about a bus tour that takes you deeper into the Flint Hills. Should you show up when the Visitor's Center is closed, you're still free to walk the grounds and take a look at the old farmhouse, beautiful barn and even inspect some of their hiking trails.